It's coming up to Convention time again, which (together with happening upon my convention notebook) has reminded me of something I wanted to write about from last year's convention, but so far haven't. One of the speakers at last year's Convention was Tim Jack, the former national leader of the Apostolic Church in Australia. 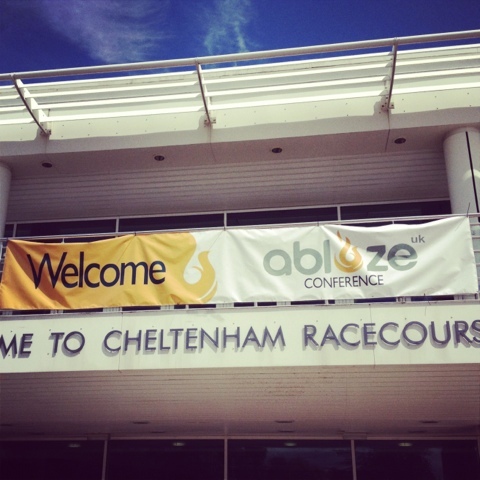 So this post is a summary of some of what Tim Jack spoke about at AblazeUK 2014, ending with his 5 Apostolic Values. Tim reminded us how everything flows to us from God's great love, by His grace. Grace is not a commodity. Grace is God's love coming to us in Jesus. And this grace is rooted in the communion between Jesus and the Father. It comes from the presence of the Triune God. This is where the power for our mission flows from. So we need to be people of the presence of God as w haven't been for a generation or maybe two. The gracious power of the presence of God melts the power of hostility and indifference. The Church is the Body of Christ. So it's not separate from Christ. Apostolic Church, we are not people of theory - we are people who have been crafted to be carriers of a ministry that displays to the world something of the humility, something of the servanthood, something of the power of God that comes and is delivered by faith. People like our forefathers understood it better than we. The mandate of our time is that we will unlock what is known and embedded into the fabric of our movement and wear the garments that they wore. They understood the message of Ephesians 4. They understood that there's a gift to the Church from the Ascended Christ of the 5-fold ministry - not to form a hierarchy, but to be a group of people who'll equip the saints. We need to come back to the place where we understand our mandate. Jesus Christ is the centre of everything. Everything is from Him, through Him, and to Him. 'Having made known to us the mystery of His will, according to His good pleasure which He purposed in Himself, that in the dispensation of the fullness of the times He might gather together in one all things in Christ, both which are in heaven and which are on earth—in Him.' (Eph. 1:9-10) This is God's plan, to bring everything together under Jesus Christ. If Christ is the Head of the Church, then He is the One who rules the Church. Jesus moves among the Candlesticks - He's not far away. He is God with us. And He rules His Church through the ministries He raises up of apostles, prophets, evangelists, pastors and teachers. We're washed in the same blood, filled with the same Spirit, and called to the same mandate. And so we resolve issues properly - we don't run away. Grace enables us to resolve whatever issues we might have. Growing up together into Christ the Head. There are young people in Pentecostal churches who have never heard prophecy or seen a healing. We must be open to the presence of God. Many churches are content with a changed atmosphere, but that isn't Pentecost! Manifestations of the Spirit are not enough. On the Day of Pentecost they broke out of the room and spoke Christ to people. You cannot separate Christ from mission! In Acts 1:8 we're told that the Holy Spirit gives power to witness to Jesus. Under His power the Church will be bold and confident enough to engage society regardless of its hostility. Hostility melts away before true servanthood and true humility. The Holy Spirit does a whole range of things in Acts, but let's never forget that comes to engage us in meaningful witness into a broken world.